You were a Film Snob lodestar. And you were bad. 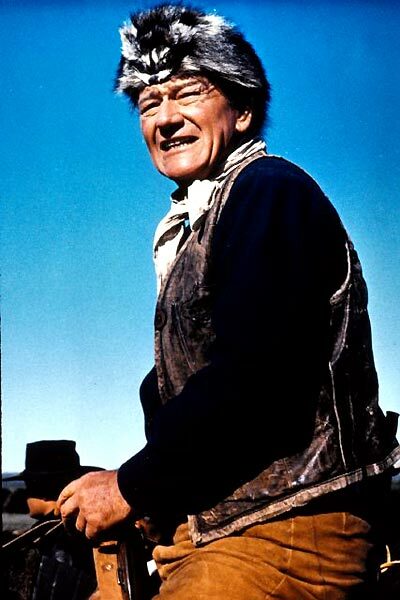 Who was the improbable muse of cult director Monte Hellman (Two-Lane Blacktop, Cockfighter)? Why, scraggly character actor Warren Oates, of course! Like last year’s indie sleeper hit, Little Miss Sunshine, this year’s model, Juno, combines affecting adorableness with flagrant implausibility. Unlike The Savages, which takes a realistically jaundiced view of the type of person who becomes a Film Snob, Juno includes a tender bonding scene in which Jason Bateman's 40-ish yuppie character communes with young Juno (Ellen Page) by playfully arguing over the merits of Herschell Gordon Lewis versus those of Dario Argento. The concept isn’t bad, but the scene is about as believable as the name Diablo Cody. SAUCER OF MILK FOR MR. KEHR! You’d forgive most 90-year-olds for disengaging themselves from the ick and clatter of contemporary popular culture, but The New Republic’s Stanley Kauffmann, bless his heart, not only continues to review new films for the magazine, but has delivered a sporting appreciation of The Film Snob*s Dictionary, a book that (affectionately) pokes fun at him. “That paragraph made me wriggle and laugh,” writes Kauffmann of his own entry in the dictionary. “Gad, was my reaction snobbish?” No, Stanley, it wasn’t, and the idea of you at your age wriggling and laughing evokes welcome images of Jack Albertson singing “I've Got a Golden Ticket” in Willie Wonka and the Chocolate Factory. The words above were written by Daniel Fuchs (1909-1993), great uncle of one half of the Film Snob brain trust, David Kamp. Fuchs was that rarest of Hollywood commodities: a guy who languished for much of his adult life in development hell (with only twelve of his screenplays realized as films) and still reveled in the hustle and flow of the picture industry. He liked being Barton Fink (and actually wrote a wrestling picture, though not for Wally Beery), and he loved the old studio machers like Harry Cohn and Jack Warner–the more vulgar the better. Like so few of us today, Great Uncle Dan didn’t feel that life owed him anything, and, by his calculations, he came out ahead. He won one Academy Award, for writing the Doris Day-James Cagney movie Love Me or Leave Me, and never made more than $60,000 a year. In the spirit of Daniel Fuchs, Messrs. Kamp and Levi now head out to L.A. for book plugeroo–if you’re in the area, be sure to catch our reading at Book Soup on Sunset this Wednesday eve at 7 p.m.–and to take in Oscars week, the greatest of the Hebraic bacchanals, surpassing even Purim. And in a delicious convergence, visitors to the Amazon link for The Film Snob*s Dictionary will find that Amazon suggests that if you like our book, you might also like Daniel Fuchs’s collection of Hollywood writings The Golden West, from which the lead paragraph of this item was excerpted. ’Twas a busy holiday weekend, with David Kamp discussing the differences between Film Snobs and Rock Snobs in an interview with the Boston Globe’s Mark Feeney, and Lawrence Levi outing himself as the man behind the heretofore anonymous Film Snob blog Looker. JOIN THE FILM SNOB LOVEFEST–BUY THE BOOK! 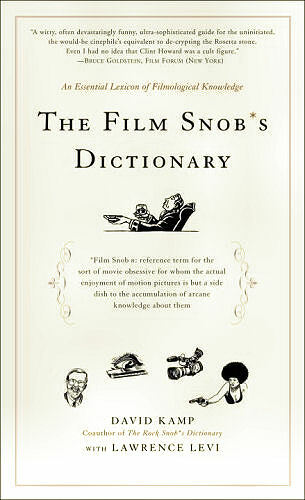 The Film Snob*s Dictionary goes on sale in bookstores this Tuesday, February 21, and can be ordered via Amazon by clicking on its cover in the sidebar at right. Already, the New York Times and Washington Post have given the book favorable reviews, and we’ve not even yet heard from the Altoona (Pa.) Mirror! Cindy, if you even have to ask... but we will say that, for starters, U.S. audiences only got to see the tragically truncated 89-minute version, while the European version ran nearly a half-hour longer. That alone is enough to create a Snob cause célèbre. As Cindy herself might say, possibly maybe perhaps we just might elaborate on this when the people who elaborate on such things feel like elaborating some more if they're in an elaborating mood. And when the room service people in the Shanghai Mandarin Oriental figure out how to make a simple bagel with a schmear for Joey. Is all we’re saying. Our friend Spike Priggen at Bedazzled! takes a detour from Rock Snobbery to capture this bit of TV trouvée in which the late Gene Siskel and the then-corpulent Roger Ebert bicker in 1987 whilst recording a promo spot for an upcoming episode of their show. In light of Ebert’s condescension towards Siskel, we can see why Vincent Gallo so loathed the bespectacled critic. At long blessed last, this site has been updated to accomodate the imminent publication (on February 21, to be specific) of The Film Snob*s Dictionary. Please visit this area to read a selection of excerpts from the new Snob book, and visit this area for a clinical yet laffical explanation of the phenomenon/pathology known as Film Snobbery. And ornery Film Snobs who’ve read the new book will have their chance to join apoplectic Rock Snobs by writing into the Nitpickers’ Corner part of this site to complain about things we’ve allegedly gotten wrong! In related news, the co-authors of The Film Snob*s Dictionary, David Kamp and Lawrence Levi, will be appearing for an “in-store event” at Book Soup on Sunset Boulevard in West Hollywood on Wednesday, March 1–just one week after Senator Barbara Boxer's appearance in the same store, and just six days prior to Jack Klugman’s to promote his memoir Tony and Me: A Story of Friendship. 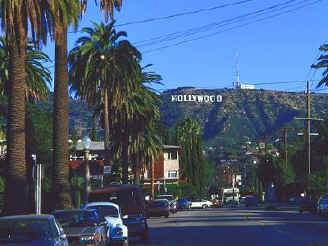 Well worth visiting L.A. for a fortnight, if you ask us. Spring is arriving early here at Snobsite. 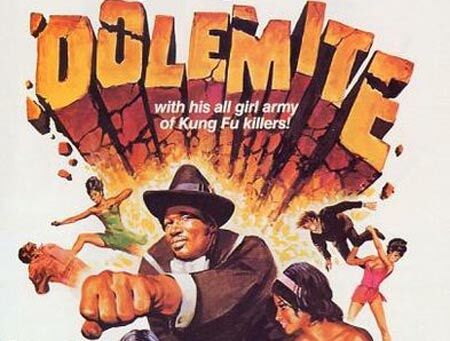 After a long period of dormancy, this site is about to sprout a new section devoted to Film Snobbery, in conjunction with the February 21 publication of the Film Snob’s Dictionary. The “Annals” section will accomodate posts related to Snobbery of both the Rock and Film stripes, while the Nitpicker’s Corner will accept Nitpicks from the Harry Knowleses of the world as well as the Greil Marcuses. In the meantime, let us herald another welcome Web return after a long wintertime absence, the latest chapter of Yacht Rock, in which the plot takes a tangent into Tull. 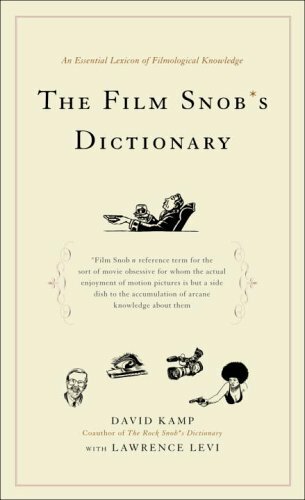 We were going to wait ’til much, much, much later to run an image of the cover of The Film Snob*s Dictionary, since it won’t be available until next February. But since the cover’s been released on both Broadway Books’s Web site and on Hollywood-Elsewhere, a movie blog by the journalist Jeffrey Wells, we thought we’d do the Apple Computer thing and offer a tantalizing glimpse months before the product is ready for release. Unlike a new Apple operating system, The Film Snob*s Dictionary does not cost lots of money, nor does it take an hour or more to install. It does, however, feature Cupertino-sleek design and have something to do, vaguely, with Pixar. Closer to the publication date, Snobsite.com will accomodate material from this book and a separate blog about Film Snobbery. We will also emit a buttery popcorn aroma via Griffin Technology’s new iSmell adapter for Macintosh. Harryhausen, Ray. Animator and visual-effects maestro (born in 1920) behind a series of terrifying films, putatively for children, that combined stop-motion animation with live action. In such films as Jason and the Argonauts (1963), The Golden Voyage of Sinbad (1974), and Sinbad and the Eye of the Tiger (1977), spray-tanned actors and actresses did furious battle with stiffly moving but nevertheless nightmare-inducing centaurs, minotaurs, walking statues, and other exotic predators. Though his filmography is more familiar to Kitsch Snobs than to kids, Harryhausen was awarded an honorary Oscar for his work in 1992, and was slyly namechecked in the Pixar film Monsters, Inc. (2001).